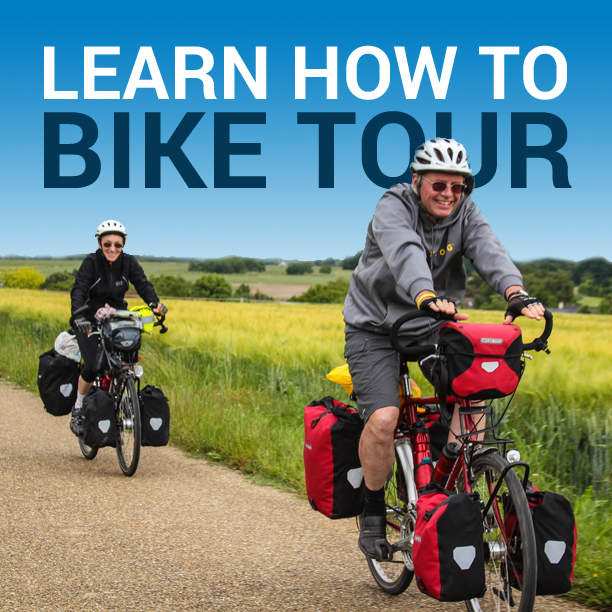 When you first start planning your big bicycle adventure, you’re filled with excitement. It’s great to think about the roads ahead… the possibilities… the fun. The planning stage is a wonderful time for any bike tour and you should enjoy every minute of it. But as your tour grows closer and closer, those feelings of joy and excitement may rapidly change to feelings of fear and anxiety. Suddenly, you’re thinking about everything that could go wrong. You’re thinking about your obligations at home. You’re thinking of the time you will be spending away from your friends and family. And more than anything else, you begin to doubt your capabilities and the success of the tour itself. This feeling of tour anxiety often pops up in the last week before you leave on your trip. For some, the anxiety may come sooner or later. For others, tour anxiety may not show up until you’re out on the road and the wind starts to blow and things begin to get tough. If you’re planning a tour and that anxiety has suddenly shown it’s ugly head, don’t fret! This is normal… and the feelings will pass. The important thing to note about the anxiety you are feeling now is that it will surely go away. How long it will take to go away, however, is dependent entirely upon you and the way that you think. Instead of worrying about your responsibilities back home, the animals you may encounter out on the road, and your fear of the unknown … stop whatever you are doing and breathe. Everything will be okay! What you are likely feeling is a fear of change. It’s difficult to think that for the next few days, weeks, months, or years… that you will be living on your bike. It’s tough to think about the fact that you won’t know where you are going to sleep at night, when you will be able to shower, or if you will have the money to get you to your next destination. 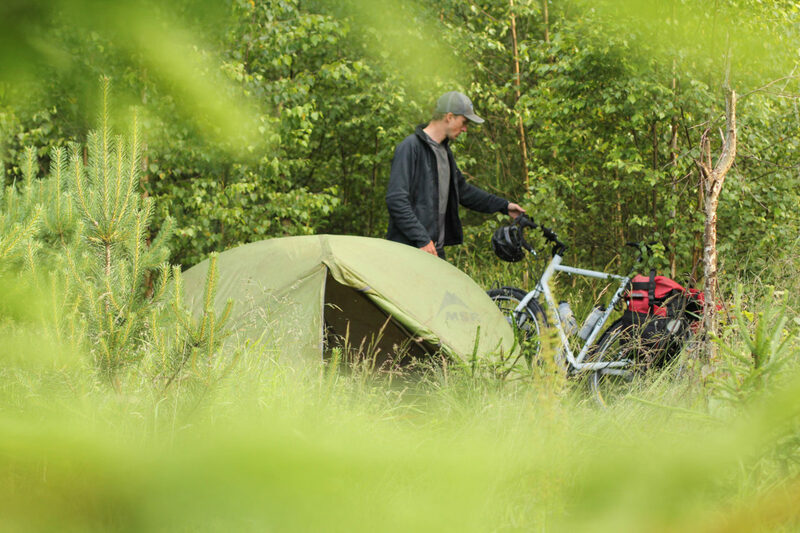 You shouldn’t worry about these things, because in the end, it is these things that make bicycle touring so exciting! The fear and anxiety that you feel before you leave on tour can extend into the beginning of your trip, but after a few days out on the road, you’ll begin to realize that you’re doing okay. You’ll suddenly realize that you feel good, you’re putting in the mileage, you’re rested, and you’re having fun. Before you know it, those feelings of fear and anxiety will be totally gone… and what you’ll be left with is complete and utter joy. Enjoy the ride! This entry was posted in Bicycle Touring Pro Articles, Featured How-To Articles, Main Articles and tagged anxiety, bicycle touring anxiety, bicycle touring dangers, family, fear, fear of bicyle touring, friends, regret, what is the worst that could happen. This article, as simple as it sounds, has hit the nail right on the head. I am a few days away from leaving on a 2 and a half month trip across Canada and I can feel the anxiety building up in me. I’ve done other long trips before but not on a bike, so I do understand that this is a natural part of the last few days before leaving but it is very nice to read it coming from someone else. Thanks! HAHA, Yes funny isn’t it. I find there is a small of anxiety during the planning stage – less than most of the worry my friends have about me tho- usually planning counteracts this. then I have another knot of tension before I set off but I know that as soon as I hit the road, it will go away and i’ll deal with the inevitable problems as they come up.